I still can’t believe I was in so much mud. I hope everyone is having a great summer. I’ve been having a lot of fun this summer and wanted to check in with everyone to say hi and to fill you in on what I’ve been up to. So far this summer, I have been to a great week long camp that was incredible. I went with two of my friends, which made it doubly fun. 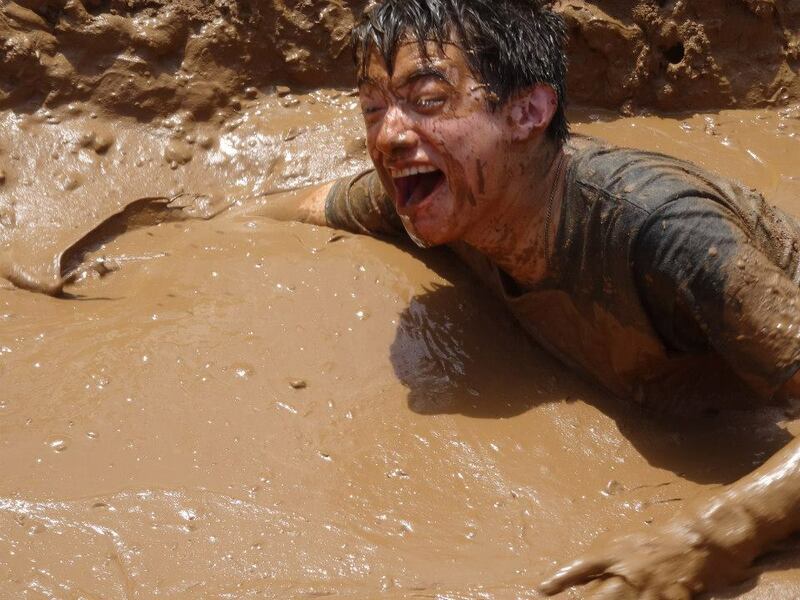 We did all sorts of amazing activities, including an obstacle course where we had to slog through waist deep mud. We also played paintball. At the end of the game, everyone was calling me “Mr. Polk-a-Dots” because I was covered in paint ball hits that I received as I charged the opposing team when I was the only one left on my side! Next, about a week after I got home from camp, I volunteered to serve as a counselor at my church’s camp for kids ages Pre-K to 5th grade. This was my first year to be a camp counselor and it was SO MUCH fun. The camp had a theme called “Wacky Animals” and I got to play a character called “Dr. Paws” who was an animal specialist. He was very funny and the kids really liked him. It was great fun for me, and I look forward to volunteering as a camp counselor again next year. 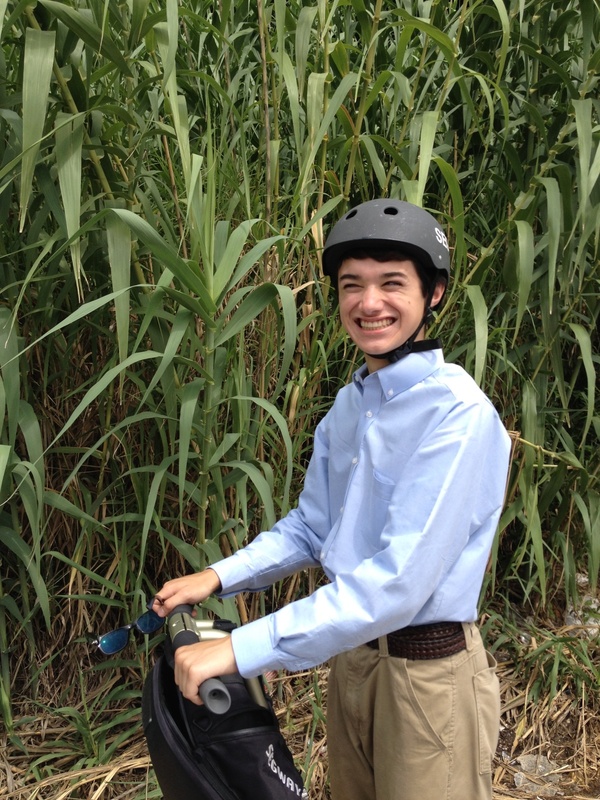 That Arundo donax is messing with the wrong Segway rider. I also went rafting, horseback riding, hiking, canoeing, and lots of fun outdoor stuff too, including taking a a fun Segway tour around Austin. Highly recommended! I hope you’ve been having fun this summer too. I’ll be catching up on my blog posts on invasive species, science, and dyslexia before starting school this fall. I’ll be a high school sophomore! Wow! Where did the summer go?